The iconic bug bids us farewell with a pair of final edition models. 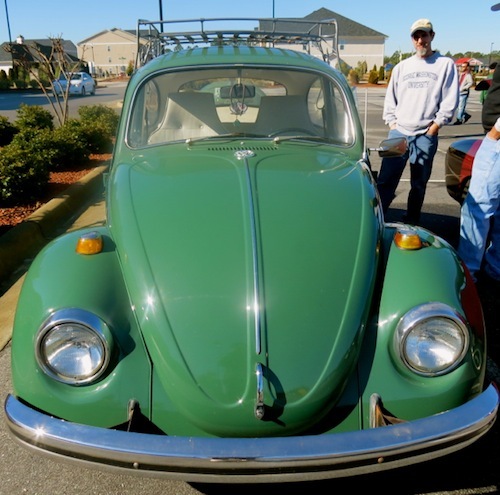 The Volkswagen Beetle is on its final journey, ending an incredible run that began eight decades earlier. The Beetle is one of the best-known vehicles in the world, an enduring nameplate whose time has finally run out. Again. The current model is nothing like the original with its rear engine, rear-wheel-drive layout, and body-on-frame construction. That model was produced until 2003 (1949 to 1980 for the U.S. market), earning well-deserved accolades as production at a Mexican factory came to an end. Overlapping the original model was the VW New Beetle, which was introduced in 1997 and shared the silhouette and some of the interior design drama of the original (a flower holder, for example). 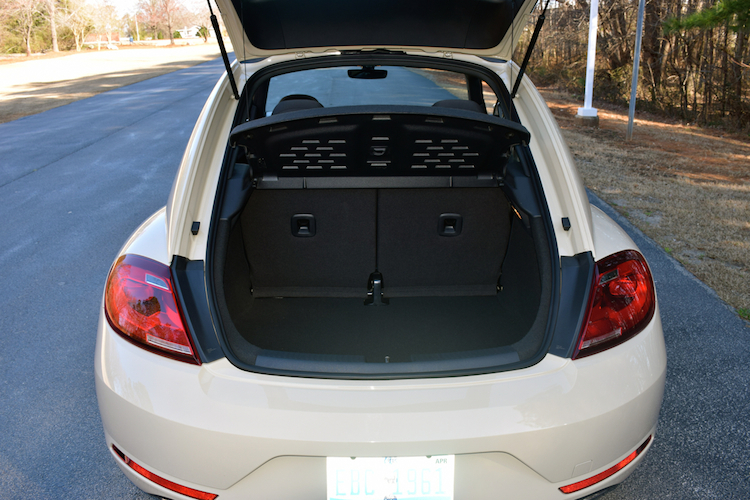 But it was based on a slightly larger version of the Golf platform, VW’s subcompact car. Production of the Volkswagen New Beetle ran from 1997 (1998 model year) to 2011, with a Final Edition model marking its end. Lo and behold, Volkswagen introduced an all-new Beetle in 2012, a model that dropped the “New” nomenclature altogether. Known internally as the A5, the latest “bug” is once again based on the VW Golf’s front-engine and front-wheel-drive platform. 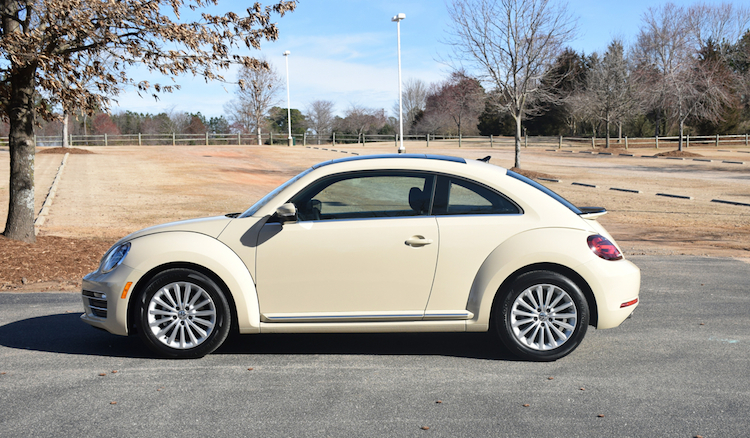 Like the New Beetle and many earlier models, this one features a two-door coupe (hatchback) and convertible body styles. You can still buy a new Beetle hatchback or convertible, but not for long. Last September, Volkswagen of America announced the end of the road for the Beetle. It is marking the occasion with a pair of final edition trims. The hard-top comes in S ($20,895), followed by the SE ($24,395), Final Edition SE ($23,045), and Final Edition SEL ($25,995) trims. The convertible matches the hatchback in trims and is priced as follows: S ($25,995), SE ($28,395), Final Edition SE ($27,295), and Final Edition SEL ($29,995). Add $895 for the destination charge. 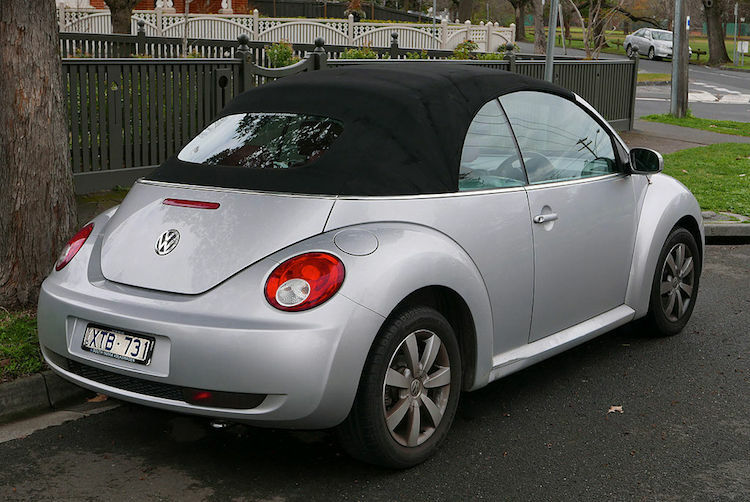 Volkswagen supplied me with a hard-top Final Edition SE model for my review. As with previous final edition models, this one is available in two color choices — Safari Uni (beige) and Stonewashed Blue, the latter a tribute to a 1970s design. Other Final Edition upgrades include chrome treatments, body-color side mirrors, heated washer nozzles, and a sunroof. Choose the Final Edition SEL model and you’ll find Bi-Xenon headlights along with LED daytime running lights, LED taillights, and fog lights. 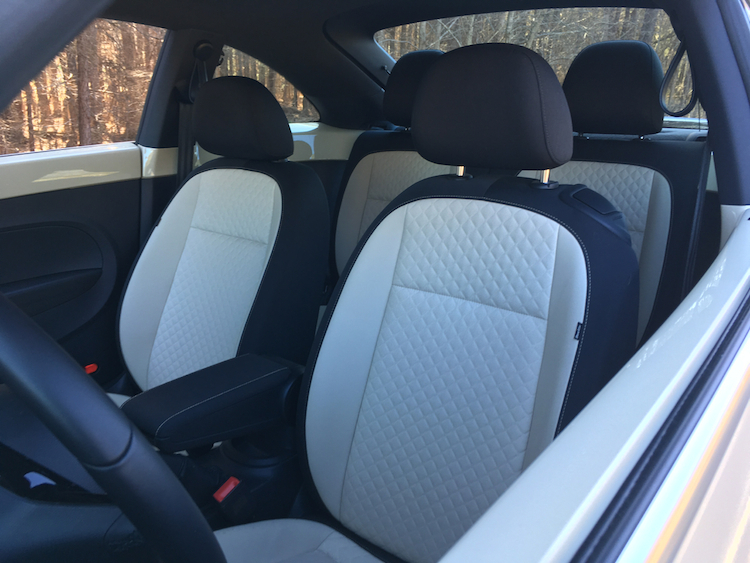 Unique wheel choices, keyless entry with push-button start, steel pedal caps, unique cloth and imitation leather or real leather seats, and an infotainment system upgrade are among the many other features of these curtain closing models. The similarities between the original and current Beetle are obvious, at least with the rounded silhouette. Both the front and rear fascias offer a modern take on the iconic design, with the lighting elements “betraying” that look. Not only is the current model longer and heavier than the original, but it is almost a foot wider. 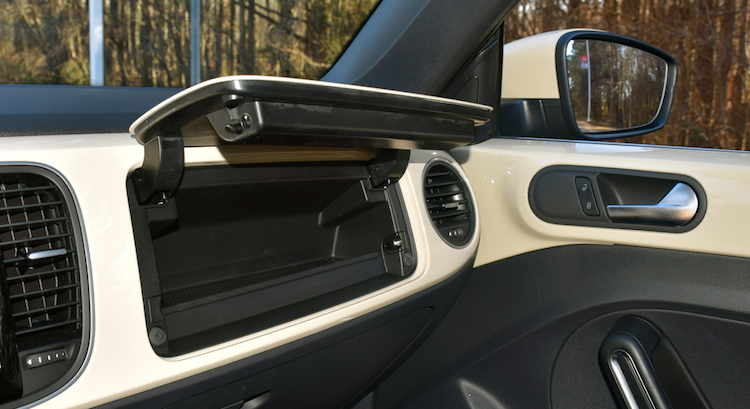 Inside, the cabin has an in-dash Beetle box as well as a traditional glove box. A painted dashboard is another tribute to earlier models. But there are many modern touches present, including switches and knobs. A 6.3-inch screen dominates the center stack, which supplies all the modern touches you’d expect, including a place to connect and rest your cell phone. It is a good thing Volkswagen firmly placed twenty-first-century technology in the Beetle. Iconic model aside, there is something today’s drivers won’t accept: a lack of USB ports and connectivity. Happily, the VW Beetle complies, by fitting this model with everything we expect in a modern car. For instance, while the base models come with a 5.0-inch touchscreen display, both Final Edition models have the 6.3-inch screen and include a CD player and an SD memory card receiver. But Volkswagen doesn’t stop there. You’ll also find the automaker’s “Car-Net” suite of app, information, and security services, along with Bluetooth. Available navigation and a Fender audio system complete the tech offerings. 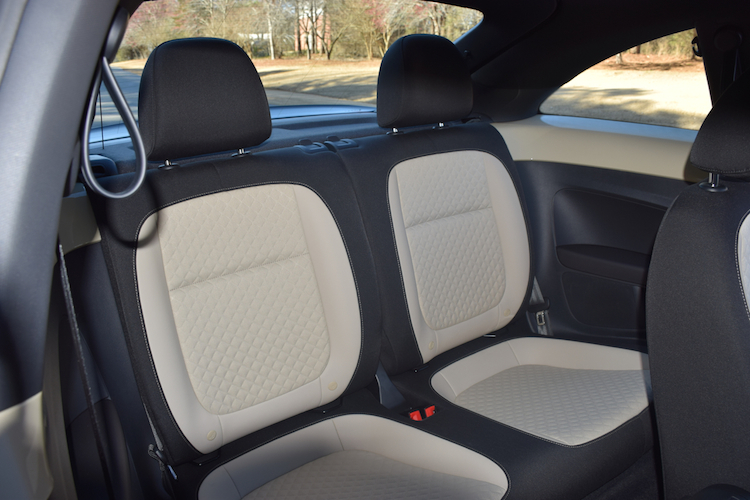 On the safety front, the new Beetle doesn’t have the buoyancy capabilities of the old Beetle, but at least its safety features may keep you out of the dunk in the first place. A blind spot monitor and rear traffic alert are both standard. Adaptive cruise control and automatic emergency braking are not, features that’ll roll out everywhere on new vehicles in the coming years. The original Beetle was a true point-to-point model with negligible power and absolute buoyancy when ditched in water. Its weak four-cylinder engine produced about 53 horsepower, which seems difficult to comprehend in this day of 150+ horsepower produced by four-bangers. Then again, the Beetle weighed under a ton, so it had less mass to move. 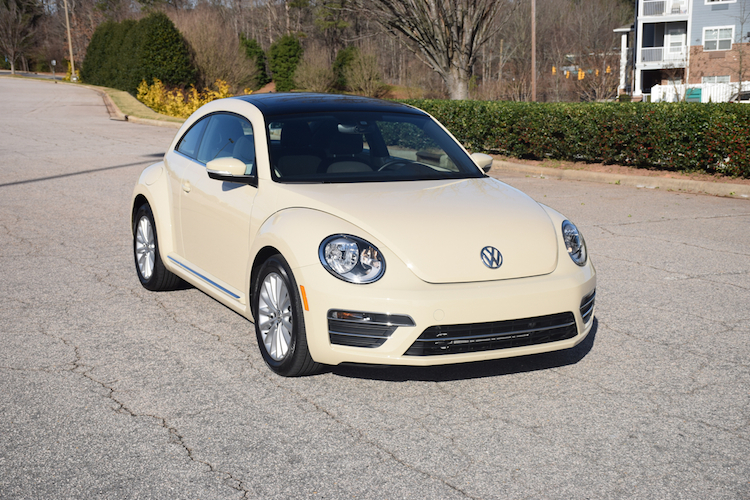 For its final year, the VW Beetle comes with a turbocharged 2.0-liter four-cylinder engine with 174 horsepower and 184 pound-feet of torque. Volkswagen pairs this engine with a six-speed automatic transmission. Sorry, no manual transmission is available. Not even an autostick. Model to model, the latest Beetle’s performance is noticeably better than the original. It won’t wow you, but you’ll have full confidence that it delivers a solid kick to shift lanes and for passing a semi without worrying if oncoming traffic might do you in. That’s not something you would have attempted in the original. On the twisty roads, the Golf and Jetta perform better. I’m not certain how much the Beetle’s bubble shape plays in, but it seems less confident on the curves than its siblings. Then again, you’ll do things with this Beetle that you wouldn’t have considered with the original. If you’re considering a 2019 Beetle, you’re opting for a piece of automotive history. 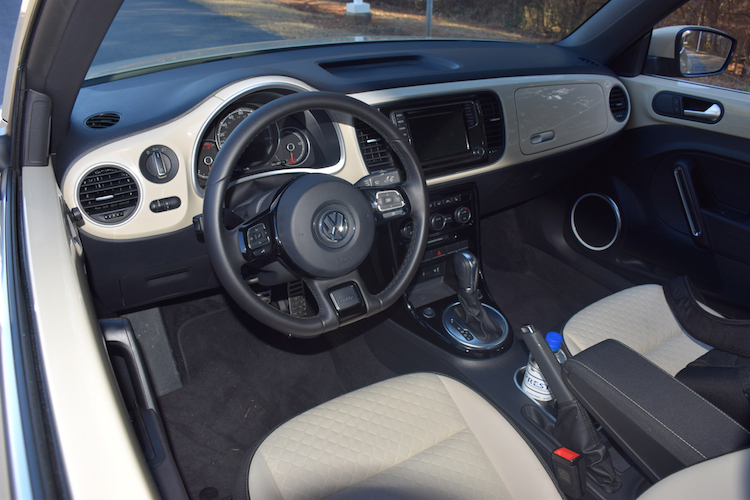 Yes, it is a modern take on a classic, so you’re purchasing a vehicle with the look of the original, but the modern amenities of other Volkswagen models. The standard S and SE trims give buyers more color options, but the special design touches of the Final Edition models are not included. The F.E. models are statement makers too — telling the world that you have the very last of a model name we’re not likely to see again. Perhaps most intriguing is the convertible as there are only a few small drop-top models left that are affordable. Most definitely, the Mazda MX-5 Miata and similar Fiat 124 Spider are two of the most noteworthy ones. The Mini Cooper Convertible is another. All three are likely to soldier on for many years. All in all, the 2019 Volkswagen Beetle drops the curtain on an iconic name and does so with the expected special Final Edition models. In some ways we’re sad to see it go, but in doing so it allows Volkswagen to concentrate on its core Golf and Jetta models, while making an expected pivot to electrification and autonomous vehicles. You would be hard-pressed to find another vehicle with a model name as well known or as even as old as the Volkswagen Beetle. Years before it showed up on our shores, the Beetle design was established, the work of Ferdinand Porsche. In 2014, Volkswagen marked the 65th anniversary of the Beetle in America, with 5.5 million models sold stateside since it was first imported. It was originally known simply as “Type 1” or as “the Volkswagen,” with Germans affectionately calling it “Kafer” or “Beetle” even before it was sold abroad. Years earlier, Adolf Hitler ordered its construction to provide low-cost transportation for the average German family. A small number of models were built for Nazi party officials during the Second World War, with mass production started after the war ended. The original Volkswagen Beetle floats. At least it does for a few minutes. That car had a sealed steel bottom with nothing exposed beneath it. In the 1960s as young people began to embrace a counter-culture lifestyle, the Beetle’s appeal surged. Its simple, even cute design were important factors as was its price: it cost less than $2,000. It also got good gas mileage, but its earlier models were designed to travel no faster than about 62 to 65 mph. The last of the first-generation Volkswagen Beetle were built in Germany in 1977, with production then shifted to Brazil and Mexico. The Brazilian factory continued to produce Beetles until 1986, but the Mexican factory produced them until 2003. However, the Latin American models were never exported to the US, which was then served by the replacement Rabbit, known as the Volkswagen Golf elsewhere. (Credit: OSX, Public Domain Wikipedia). Volkswagen revived the Beetle name in 1998, calling the model the “New Beetle” to distinguish it from the original. It represented the second of three distinctive “Beetle” models ever built, but its relationship to the original was in name only. 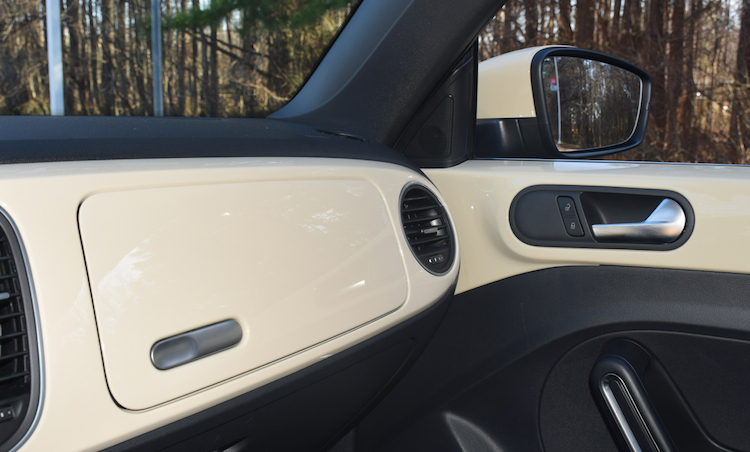 The Volkswagen New Beetle drew its styling cues from the earlier design right down to the flower holder that sat on its dash. Although its rounded shape, front and rear fascia and overall demeanor paralleled the original model, the New Beetle sat on the same front-wheel-drive platform underpinning the VW Golf. The New Beetle was built from 1997 to 2011. If you replace the New Beetle with something new, should it be called the New New Beetle? Wisely, Volkswagen simply reverted to using “Beetle” for the most recent of the three distinctive models to bear the iconic model’s name. Introduced to the US market for 2012, the current iteration shares its platform with the Volkswagen Jetta and is larger than both earlier Beetle models. Like the New Beetle, the current Beetle is front-engine and front-wheel drive, with more modern engine and transmission choices as well as the latest in-cabin technologies. It is also the first US-spec Beetle to offer a diesel engine. 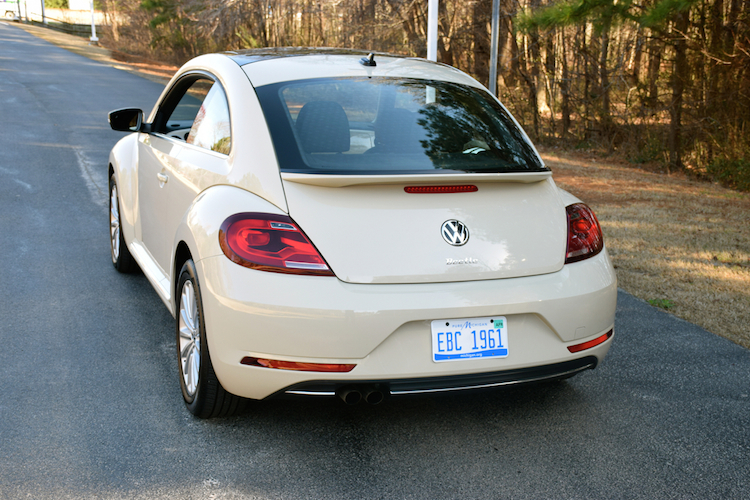 The current iteration of the Volkswagen Beetle falls under the two-door specialty coupe and convertible category. 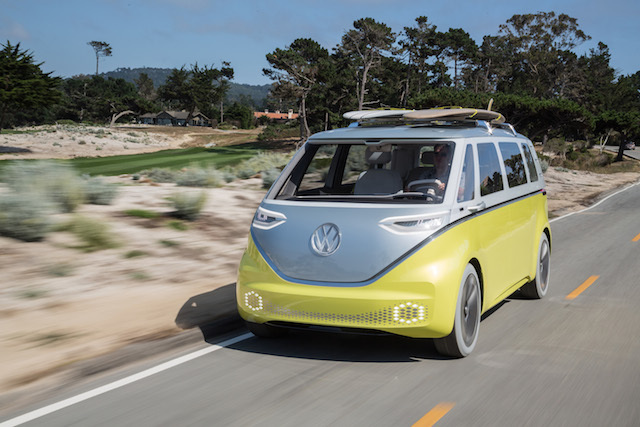 Electric vehicles, such as this microbus, is the future of VW. In 2013, Beetle sales topped 43,000 units in America alone, becoming one of the most popular models in Volkswagen’s 11-model-line family. Sales, however, began to fall in ensuing years, and are now less than half what they were at their current-generation peak. That said, Volkswagen will discontinue Beetle production in 2019, some 80 years after the original model rolled out. The VW Beetle will soon be history, but its place in global autodom will continue to live on. Today’s models are nothing like the original, except for its iconic good looks. 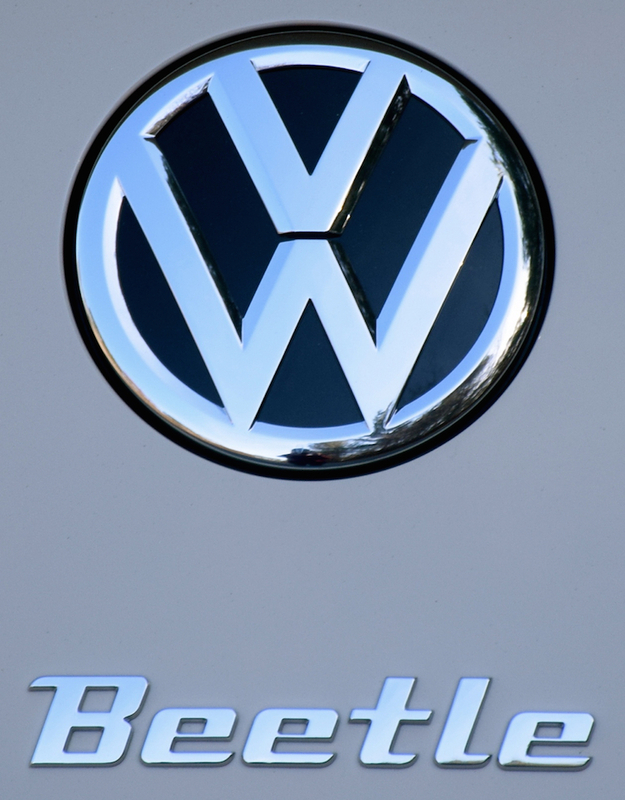 Regardless, Volkswagen’s original model leaves as the brand makes its way in the 21st century, with even diesels now a thing of the past and electric vehicles soon to dominate. See Also — Volkswagen Rabbit Reprise: Again! VW I.D. Buzz Concept photo courtesy of Volkswagen of America.